High school can be pretty sucky at times. With all those hard tests and long papers, it’s definitely not fun. But as much as we all hate it, it’s unfortunately a big part of life, right? Regardless of how us normal folk feel about high school, for celebrities, it’s a totally different story. We decided to do some investigating, and it turns out, a ton of your favorite stars actually never even finished high school! 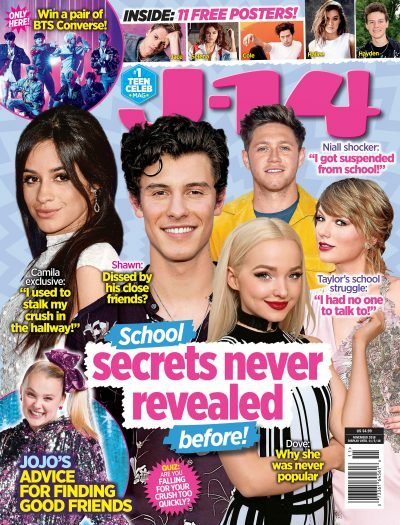 It’s definitely shocking that celebs like Harry Styles, Katy Perry and Niall Horan have dropped out of school, right? Especially considering how successful they all became! We guess when you have a voice that beautiful and the ability to write gorgeous songs, you don’t necessarily need to know what 4×8 equals, LOL. You’re not going to believe who else never graduated. Scroll through our gallery to see all the stars that dropped out of high school. Harry attended Wilmslow High School in Cheshire, U.K., but as fans of the “Sign Of The Times” singer know, he auditioned for The X Factor at the age of 16. After he made it through and One Direction was formed, the singer unfortunately never went back to finish school. Well, that certainly hasn’t stopped him since he’s gone on to become one of the biggest celebrities in the world! As for the rest of the band, Zayn Malik, Liam Payne and Louis Tomlinson both graduated from high school before joining the band. Jake dropped out from Westlake High School to move to L.A. and try to make it as an actor. His bro Logan on the other hand, graduated from high school, but later dropped out of college to pursue his career. Well, considering the boys are some of the highest paid YouTubers in the world now, we can safely say that their lack of education didn’t stop them from becoming successful. Although he may have graduated from Hogwarts in his films, the Harry Potter actor didn’t graduate from high school in real life. “I’m kind of sure of myself intellectually. And I know I wouldn’t have been if I had stayed in school because, before I did Potter, my confidence had been more or less destroyed by a couple of teachers. So I had it all restored by the people who taught me on the films,” Daniel told Parade in 2009 about dropping out. Avril’s decided to leave school after producer L.A. Reid signed her back in 2000. “I was supposed to do home-schooling — I had books — but I didn’t do it. So basically, I’m a high school dropout,” the singer said on an episode of Private Sessions.